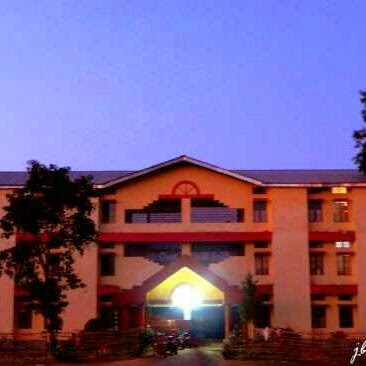 Spending four years of your life in an engineering hostel is one hell of an experience. Though here i am writing only about activities that goes around at night. At night you get to see every type of activity from good to bad to worse, and the best part about all this is you learn to differentiate between good and bad. One of the most amazing things about engineering hostel is that it remains most busy at night. The darker the night becomes the busier it becomes. One important thing to notice about that the variety of activities running in different rooms and sometimes even corridors. The sound of counter strike in one room to fifa14 in another room, literally it becomes a gaming zone at night. If your birthday falls in the chilly winter get ready to get wet with the cold water or a birthday bash, the choice is yours and if you are lucky enough like one of my friends you will get the taste of both. Night arguments and meetings are a common thing in many engineering hostels, be ready to spend half of the night settling the fight of two hostel mates arguing against each other. The conception of outsiders that say engineering students study only before the exam is very true. It is the worst time for any student and you will see all the lights on till late night. Even some crazy people wakes up at 2 am to study before the exam nights of December and some to make strategies to pass the next morning exam, by strategies hope you understand what i mean to convey. Time really flows in an engineering hostel. You do not realize that its over until it really gets over. Like my friends i too miss my night life spent in my hostel. I still miss the night addas, night study etc. I miss the quietness before the exams next morning, equally i miss the craziness at night the exam ends, though that craziness remains till the next exam starts. But all good things has to come to an end one day for start of something even better and wilder, but each one of us must make sure that it gives us memories to cherish for a lifetime. We must remember that none of us would remember the marks we scored in an exam but we will always remember the little incidents like going blank in an exam and still scoring good marks and believe me it will never fail to bring a smile in our face later on in our life when we remember it.